It doesn't bother me Trump believes he's surpassed Reagan. It's Trump being Trump. The two are in their own class as far as leadership. Both are the two best presidents this country has ever seen. 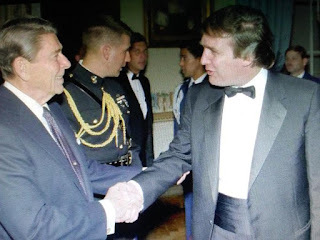 In a new book out Tuesday about his “enemies,” the president said that while he feels “I blow Ronald Reagan away,” the “fake news” media is robbing him of bragging rights by ignoring his successes and focusing on his problems. And even more frustrating, he told “Trump's Enemies” authors and supporters Corey R. Lewandowski and David N. Bossie, some established conservative columnists aren’t giving him any credit.